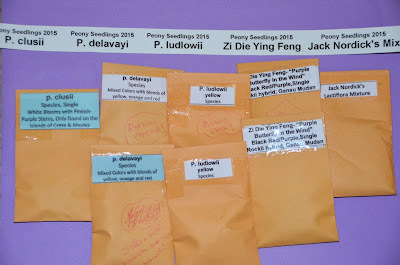 I got my free seeds from the American Peony Society Seed Distribution Progam this week! The APS has a benefit that allows seed donors to select a free packet of peony seeds for every 2 varieties of peony seeds you donate. 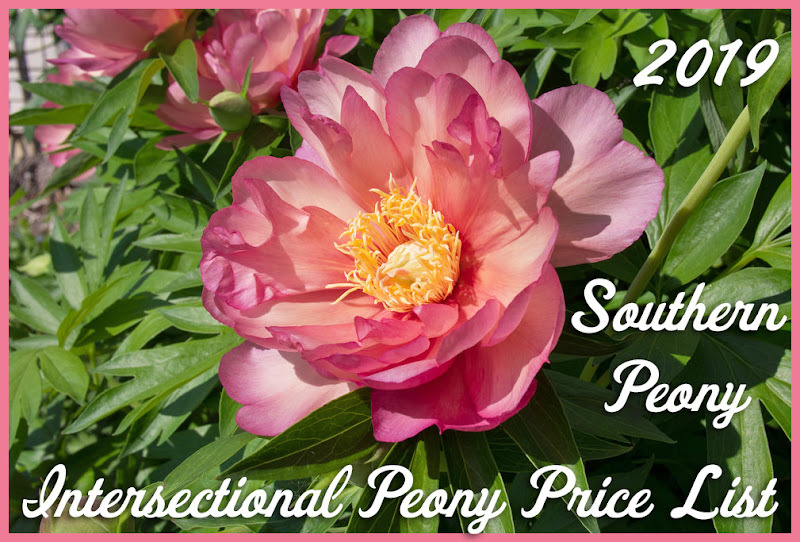 I donated seeds last fall to the program, which allowed me to pick out Free Seeds for Peony Seed Donors when the seeds are distributed in the spring. Last year was the first year I donated seeds to the program. In previous years, I have purchased seeds from the program. So it was nice to get free peony seeds this year! I got every variety I requested, except one that was sold out. I ordered p. clusii, p. ludlowii, p. mascula subsp. bodurii, Zi Die Ying Fen- (Purple Butterfly in the Wind), and Jack Nordick’s Lactiflora Mixture. Apparently p. mascula subsp. bodurii was already sold out. So p. delavayi was substituted. 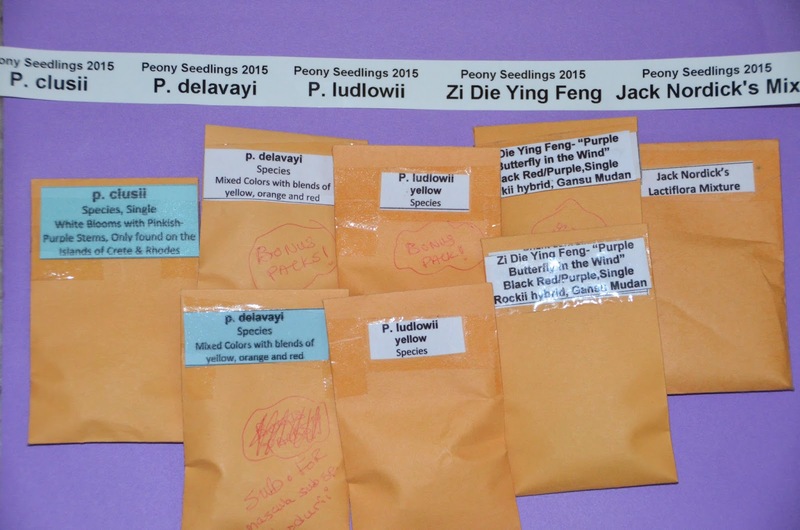 I ordered these seeds only about a week after the peony seed list was posted to the web. So popular seeds sell out quickly. If you haven't gotten your order in yet, now's the time to do it before all of the best varieties are sold out! I planted the seeds in my peony seedling bed a couple days after I received them. There was a space in the bed where several species peony varieties never sprouted for me. These were seeds I'd purchased from the APS Seed Program and planted in 2010. I think 5 years is long enough to wait to see if they will sprout. So some new species seeds have their spot now, and we'll see next spring if any of these seeds germinate! 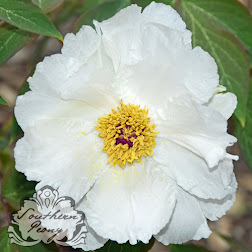 2015 So Many Peony Things to Do!